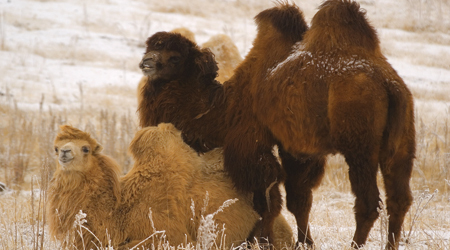 Explore the heart of Central Asia – the fabled “Land of the Caravans” – on this exciting 18-day journey. As the world’s oldest and longest trade route, the Silk Road linked Eastern and Western cultures for more than a thousand years. 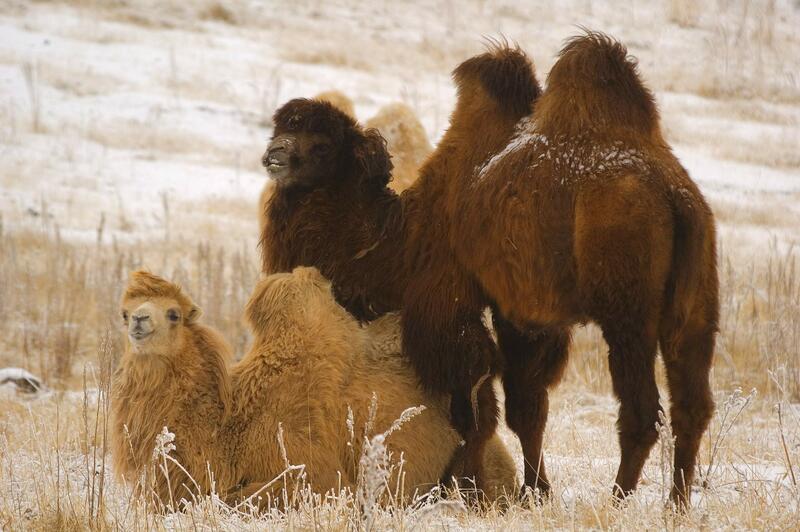 In this Silk Road tour, we wind our way through the five “Stans”, a Persian suffix meaning “home of” or “place of”. 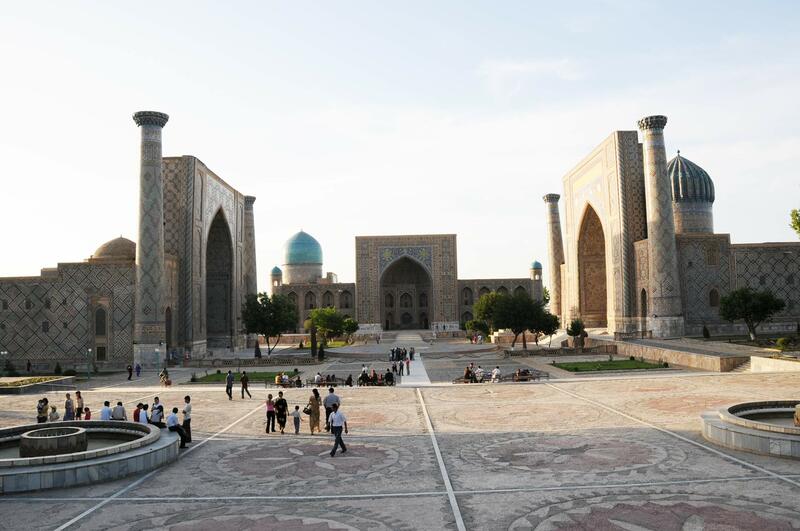 Explore the historic cities and meet the locals of Samarkand, Khiva, Bukhara and beyond, including 10 UNESCO World Heritage Sites, by foot, flight, vehicle and deluxe modern train, retracing the steps of Marco Polo and other of the world’s first famous adventurers. This tour, which has been operating for over 10 years, has been revised this year to include new attractions adding an extra day. 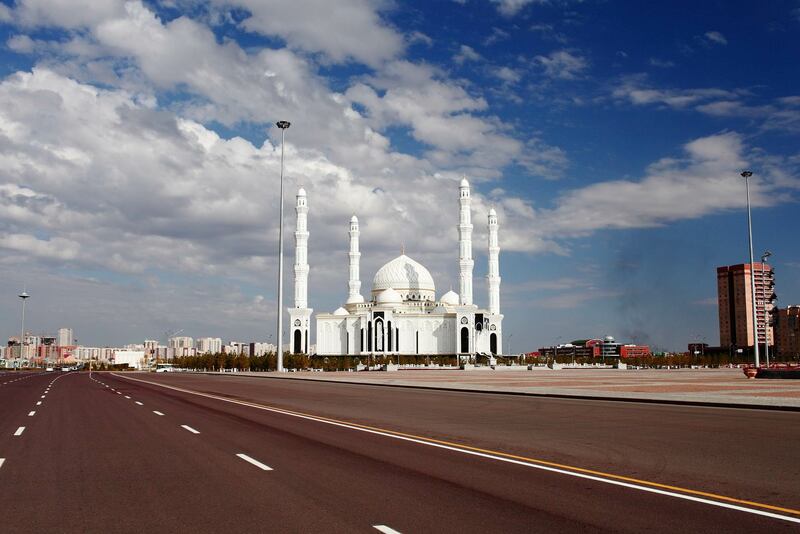 We are cordially welcomed upon arrival at Ashgabat Airport and transferred to our hotel. Hotel check in time is 1400hrs. Balance of the day is free. The one-party, ex-Soviet state of Turkmenistan is as fascinating as it is mysterious. 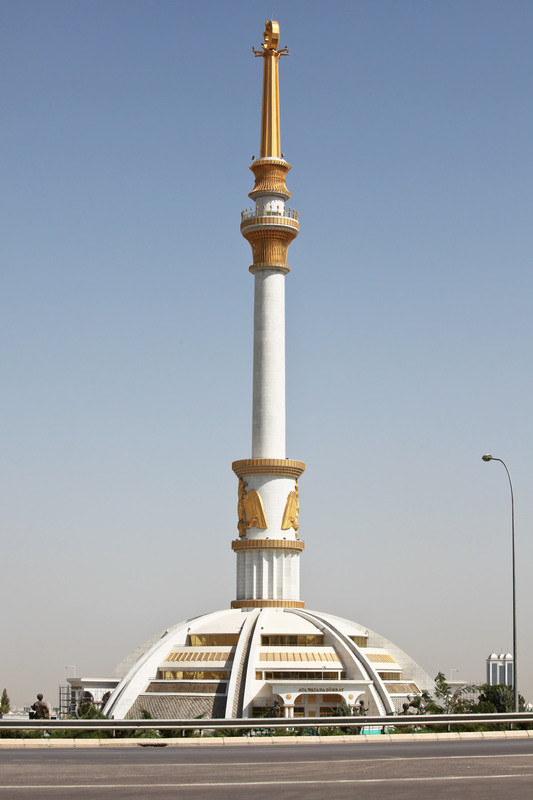 The lavish city of Ashgabat is a truly unique example of the country’s over-the-top architecture, with immense marble structures lining the streets. In fact, Ashgabat recently won the Guinness World Record for the highest number of white marble-clad buildings in the world—543 new buildings covering an area of 4.5 million square meters! Embark on a unique exploration of the State Historical and Cultural Park of Ancient Merv* with a short, early morning flight to Mary. As the oldest and preserved of the oasis cities, along the Silk Route, Merv’s history spans to 4,000 years. It was an important city of Achaemenian Empire and was run over by the Macedonians commanded by Alexander the Great, asserting his claim over the lost cities of the great empire. During the Medieval Islamic era it was referred as ‘Uroos-ul-Bilad(mother of the cities) being one of the richest cities and diverse nature of its inhabitants. The invasion of Mongols in 13th century saw a great manslaughter of mankind, more than a million soul were put to sword. This wonderful site is spread in a large area with successive layers of mud habitations called ‘Kalas or fortified cities’ include the earliest sites of Erk Kala, Gaiyur Kala, with huge wall, constructed by Roman prisoners of war, Sultan Kala was the last of inhabited site, the famous pigeon house, ‘Sardoba or ice houses’ were common features of Merv city. After a short flight to Dashoguz, we head to Kunya Urgench*. 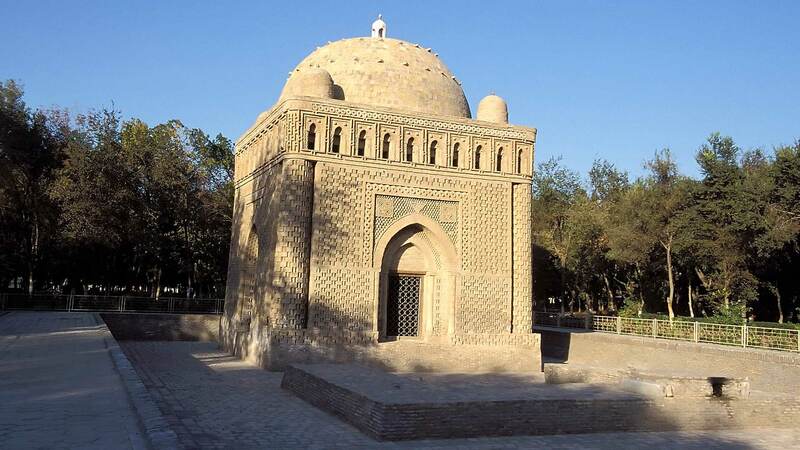 We shall see pre and post Mongol period mausoleums, a 60-meter-high minaret and a mosque dating from the 11th to 16th centuries showcase this region’s legendary past as the centre of the Islamic world. The architecture and décor of these buildings influenced empires as far away as Byzantines and Persia, the unequaled creations of India’s Moghul Empire had its birth in Central Asia. After our explorations, we drive to the Turkmenistan-Uzbekistan border point at Khojeli, where we go through border formalities at both checkpoints. While this border point offers a unique experience, one can see the aftermath of the breakup of Soviet Union. A short drive through the delta of Amudarya drive past villages brings us to Nukus – once the port town on the dying Aral Sea. Morning we visit Karakalpakstan Regional Art Museum more known for its Savitsky collection, hosts the world's second largest collection of Russian avant-garde art, as well as one of the largest collections of archaeological objects and folk, applied and contemporary art originating from nomadic Central Asia. 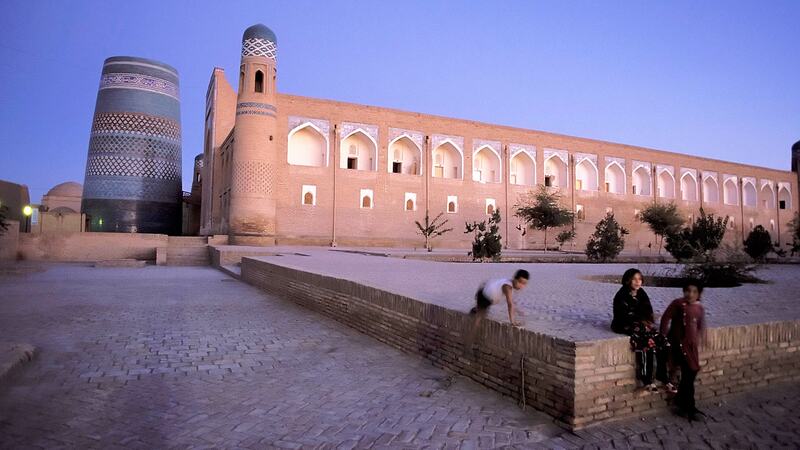 Afterwards we make our way to Khiva, well-preserved living open air museum of the best of brick architecture. En route, enjoy short stops such as a visit to Shylpyk Kala, the only surviving Tower of Silence dating from 4th and 5th century A.D. Later, discover Toprak Kala, a mud fortress found in the Kizilkum desert, dating from 1st and 2nd century A.D. This impressive fortress served as a winter retreat of a local princely family. 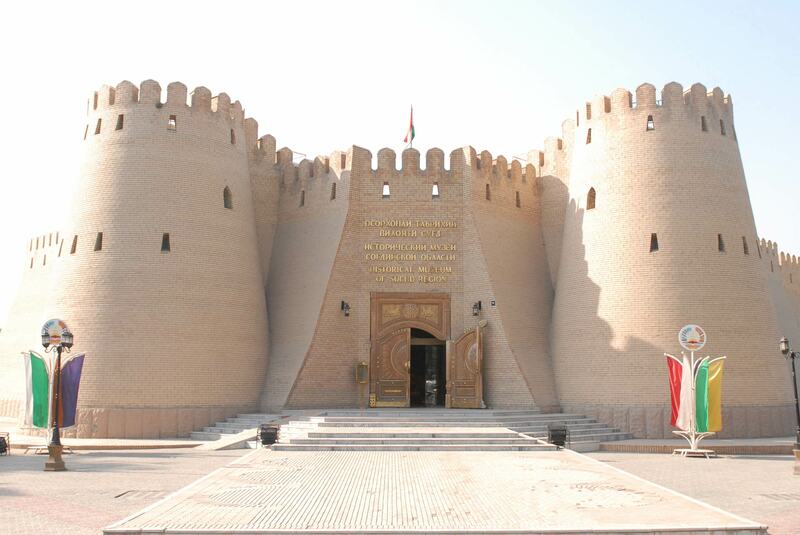 We arrive at Khiva, a must-see city for tours to Uzbekistan, we check in to our hotel. A new deluxe fast train has been introduced on the Khiva/Bukhara route. Subject to schedules we will take this scenic train ride through Kizilkum desert. Otherwise, enjoy an equally scenic journey by road. We arrive late afternoon at the historical Silk Road city of Bukhara, which dates back over 2,000 years and boasts a lavish collection of more than 140 historical monuments. Bukhara is the most complete example of a medieval city in Central Asia, with an urban fabric that has remained largely intact. We check in to our hotel with the rest of the day free. Evening an optional folk show at the Madrassah Gowkushan. A morning departure for Samarkand with a stop at the stunning Shakre Sabz. The birthplace of Tamerlane and a UNESCO World Heritage Site, the town offers a unique ancient panorama. Our visit includes Tamerlane’s famous Ak-Saray Palace and the imposing ‘pishtak’, which supported a huge arched gateway. We can see part of the gateway still surviving partially with its tile and mosaic work. It was an incredible palace took over a quarter century to construct, Spanish ambassador Ruy Gozalez Clavijo was stunned by its intricate decorations during his visit in 1404. The successive internal wars after the death of Tamerlane and later by the Shybanids destroyed last of the structures to ruins. We also see a sycamore tree dating from the 1300s. 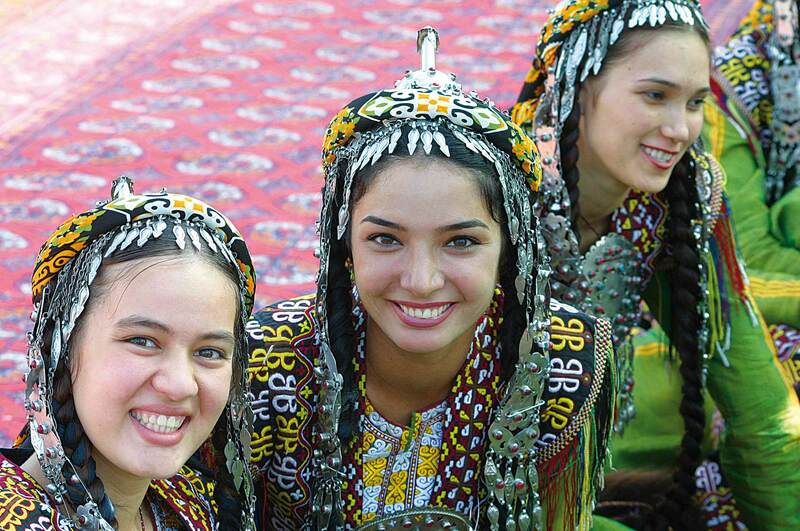 Shakre Sabz is known for its embroidery and textiles, and we will have the opportunity to meet and interact with locals before we drive to the historic city of Samarkand. This evening, optional visit to Samarkand’s legendary Registan Square for a riveting Sound & Lights Show (available at certain times of the year). Driving through orchards and cotton fields we embark on a Journey to neighboring Tajikistan, we make our way to the border point this morning. After border formalities, proceed to Penjikent. After some rest time at our hotel we go on a tour of Penjikent which will take us to Rudaki Museum, named after the beloved poet. Museum houses a collection of objects and murals from various sites around Zarafshan valley. 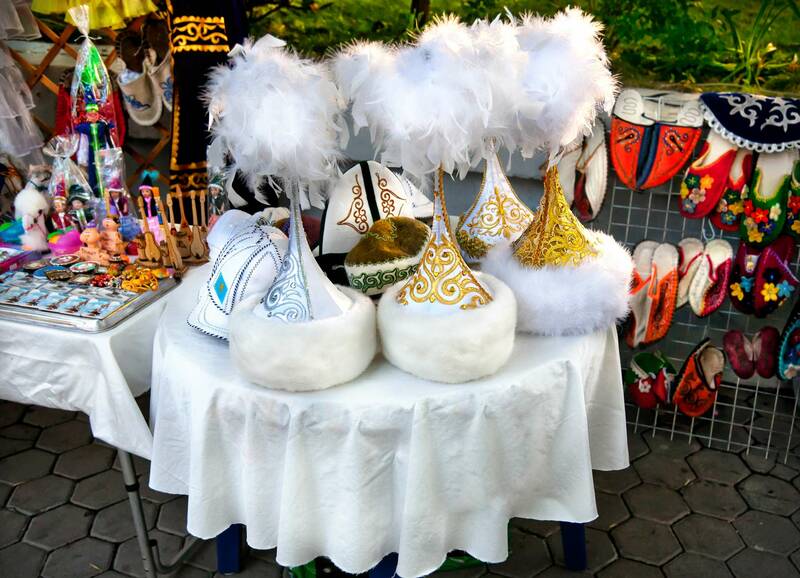 Later visit the lively Penjikent bazaar, then meet a Tajik family and enjoy lunch with them at their home. Afterwards visit a local farmland nearby and have the unique opportunity to converse with local folks before returning to our hotel. We continue to Dushanbe this morning with a drive through the breathtaking Zarafshan valley, following the river of the same name. 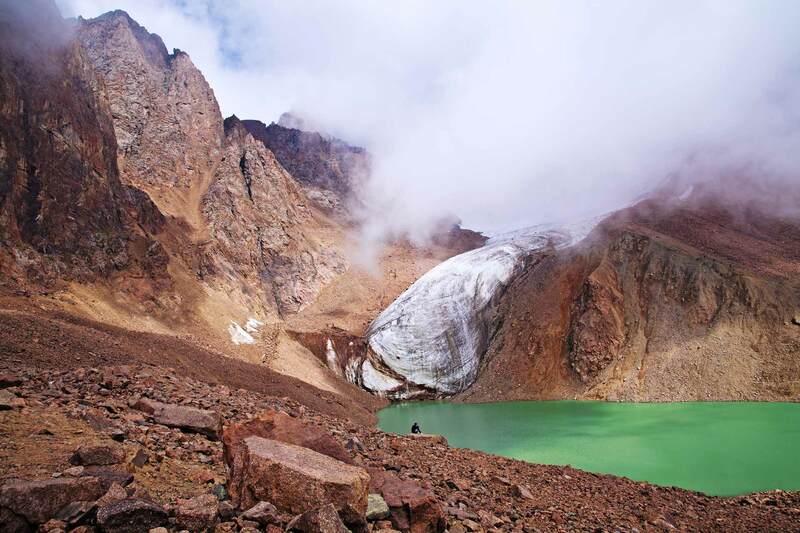 This region offers awe-inspiring panoramas and is popular for climbing and hiking. Upon arrival, our afternoon tour of Dushanbe includes the Museum of Antiquities, with a rich collection of Greco-Bactrian, Sogdian and Persian art. Later visit the National Museum of Tajikistan, boasting archaeological treasures from across the country. Then see Ismail Samanid monument, father of modern Tajikistan, before we check in to our hotel. We are transferred to the airport for our flight to Tashkent. On arrival, explore the leafy streets of Uzbekistan’s capital. Our visit takes us to the Old City. Here we see Khast-Imom Complex, site of the world famous Quran of Caliph Uthman/Ottoman. We also explore the beautiful Madrasah of Barak-Khan, Tilla Sheikh Mosque, the Mausoleum of the Saint Abu Bakr Kaffal Shashi, and the Islamic Institute of Imam al-Bukhari, as well as vibrant Chor-Su Bazaar and Mustaqlik Square. We enjoy time at leisure to sample the flavors and experiences of Tashkent before our departure flight to Almaty in Kazakhstan. The richest country in Central Asia due to its oil reserves, Kazakhstan is an intriguing combination of sophisticated cities and breathtaking outdoor adventures. Gleaming Almaty was its rich and leafy capital until being replaced by the modern city of Astana in 1997. Upon arrival in Almaty, we are met and transferred to our hotel with the balance of the day free to enjoy this urban gem. Today we depart for Bishkek, the capital city of Kyrgyzstan. Known for its natural beauty and traditional yurt-dwelling locals, Kyrgyzstan is a Central Asian horse country. On our journey, we drive past the scenic Zailisky Alatau Mountain range. After border formalities, we continue on to Bishkek and are transferred to our hotel on arrival. 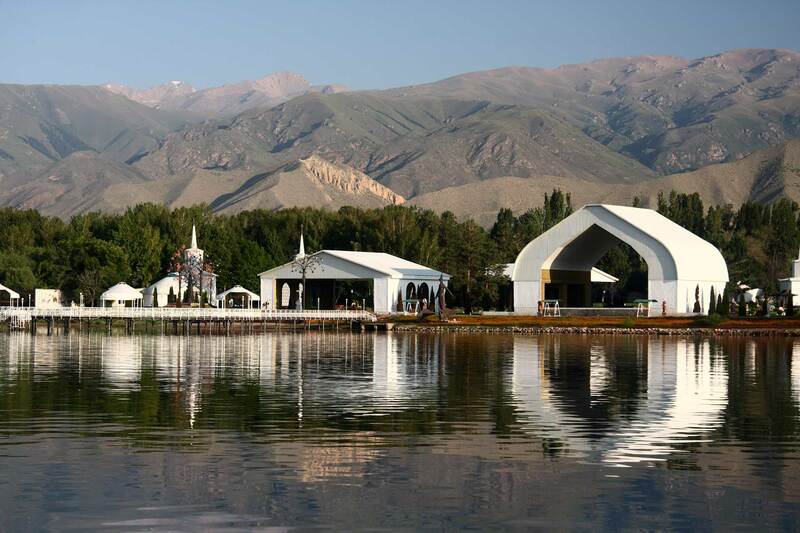 Discover the cultural highlights of Bishkek this afternoon sightseeing tour. We drive past the White House (Presidential Palace), see the changing of the guards at the National Monument, State Museum of History(soon opening) view Erkendik and Alatoo Square, and walk down the Oak Park, known for street painters. We shall see monument of Manas. Hero and Father of Kyrgyz nation – the epic of Manas is twenty times longer than Homer’s Iliad. This is an oral trilogy sung by Manaschi with throat singing boasting great feats of their hero Manas. Journey eastward through the spectacular mountains of Cholpon-Ata, where we visit the local rock drawings of the Bronze periods, the local museum and a small but vibrant bazaar before arriving at our resort. As the second largest alpine lake in the world and a must-visit for tours to Kyrgyzstan, Issyk Kul Lake boasts breathtaking views. The balance of the day offers optional opportunities to walk around the valley and enjoy some of the enchanting boat rides across the lake’s smooth surface. Evening, we enjoy dinner at a local restaurant attached to the lake. Morning we visit Preshevalsky Museum and Monument on the eastern edge of the Lake. This landmark museum is dedicated to the memory of Nikolai Michailovich Preshevalsky, who was an enthusiastic explorer accredited for his excellent works on the flora and fauna of the region. In the afternoon, we visit the Annanaeva village. 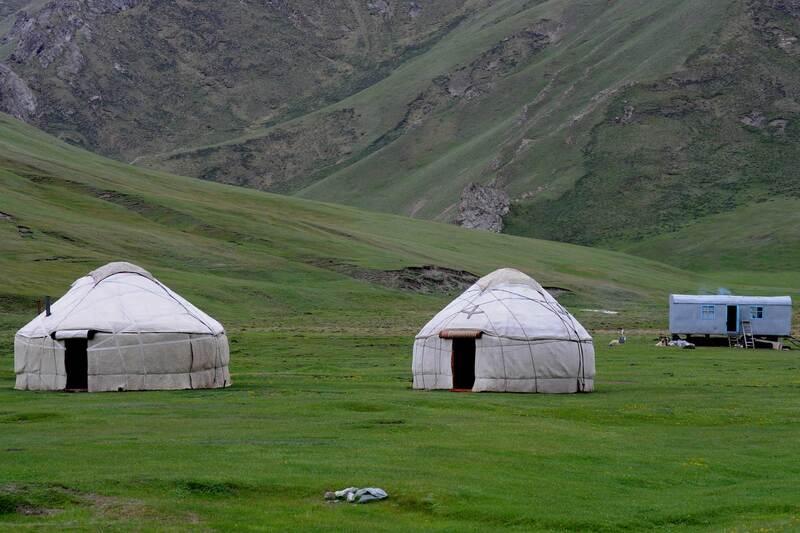 Here we immerse ourselves into local life, hiking through our scenic surroundings to visit local families and get a behind-the-scenes look at their yurt houses before enjoying soup and tea. Then, we journey back to Bishkek. 20% off for the 2nd person when booked minimum 9 months in advance and as a party of two (*on select dates).